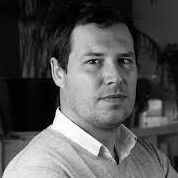 Guillaume Pitron is a French journalist (Le Monde Diplomatique, National Geographic, etc.) and director. In 2018, he published his book ‘The Rare Metals War – The Dark Side of Energy Transition and Digitalization’ (Éditions LLL). While green tech promises to save the planet through connectivity, the digital economy's material demands are increasingly unsustainable.